Microgrids are increasing in popularity due to their ability to island from the main grid in case of an emergency power outage, providing energy reliability and resiliency for critical operations like the military and hospitals. And smart energy infrastructure is becoming the way of the future for operations that simply can’t afford power outages. With this popularity comes new innovations and enhancements in microgrid technology. Now, microgrid operators have greater control over their energy use through energy storage, self generation, load shedding and more. A new white paper from Burns & McDonnell explores how this evolving smart energy infrastructure is enabling a grid of microgrids and changing the energy landscape. Continuously improving technologies and unit cost reductions are enabling facility owners to install new or evolve existing backup power assets into integrated microgrids that provide more than just backup power. Burns & McDonnell contends these new technologies and smart energy infrastructure are contributing to the proliferation of microgrids. As a result, many critical operations are looking to install — or evolve their current backup power assets — into intregrated microgrids. What are some of the benefits of these integrated microgrids? Think critical infrastructure protection, sustaining critical operations during prolonged outages, managing power consumption to reduce costs, maximizing the power available to respond to change, and many more. Many of these benefits were recognized and revealed by the U.S. Department of Defense’s (DoD) Smart Power Infrastructure Demonstration for Energy Reliability and Security (SPIDERS) Joint Capability Technology Demonstration (JCTD). Burns & McDonnell explains in the new report that Phase III of the project at Camp Smith, Hawaii involves the integration of three microgrids, which are designed to operate independently to serve specific portions of the installation, to form a common microgrid that can support the entire installation. Projects like these serve to share valuable lessons with the microgrid and energy industry on the power of microgrids for critical operations and more. Integration of resources, monetizing existing and planned assets, and energy trading improves the financial viability of microgrids and could make such systems more attainable and more resilient for a greater number of customers and communities. 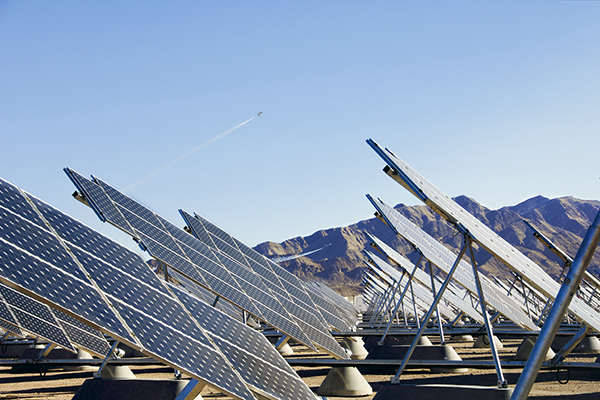 Evolving energy infrastructure is enabling a grid of microgrids. Local utilities and system owners would be well served to work together to create microgrid clusters — as they could potentially create more revenue options for both parties. But there are challenges to integration, as well, which the white paper covers in detail. For example, unfortunately, the main electrical grid today wasn’t created to support multidirectional flow of power at all levels. But there are solutions. 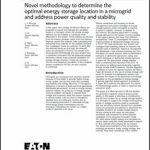 And many of the foundational technologies needed to enable a “grid of microgrids” are in place, such as smart metering and conservation voltage reduction (CVR). Progress is inevitable. And as military installations, hospitals, manufacturing facilities and campuses, as well as other critical facilities, increasingly turn to microgrids, the possibility of a future “grid of microgrids” seems more and more likely. 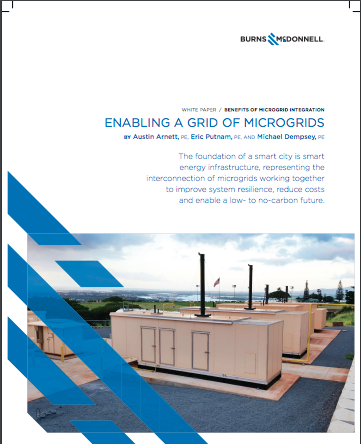 Download the full white paper, “Enabling a Grid of Microgrids,” courtesy of Burns & McDonnell, to learn more about the growing potential for a grid of microgrids.